An inspirational guide to decision-making in high-risk situations. 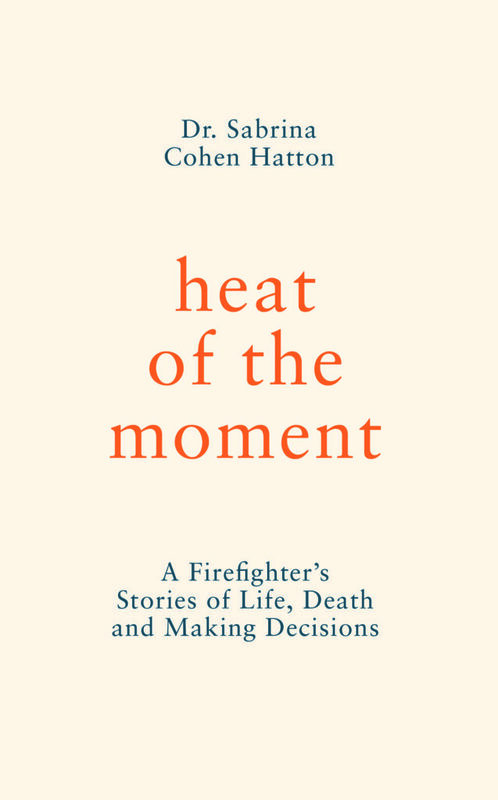 In Heat of the Moment Dr. Sabrina-Cohen Hatton, 34, and one of the most senior firefighters in the UK, reveals the skills and qualities that are essential to surviving in a fast-paced and emotionally charged environment. She immerses us in this extraordinary world: from scenes of devastation and crisis, through triumphs of bravery, to the quieter moments when these assumed heroes question themselves, their choices, and decisions made in the most unforgiving circumstances. We are asked to step into their boots. In the face of urgency and uncertainty, would you respond analytically or trust your instincts? Sabrina’s award-winning research into decision-making in the emergency services has transformed policy at a global level. This is her astonishing account of a profession defined by the most difficult decisions imaginable and by overwhelmingly challenging situations. Honest, eloquent and empowering, here is the truth about how we respond in our most extreme moments.